Deposition and opto-electronic characterization of semiconducting, insulating, and ferroelectric thin films. 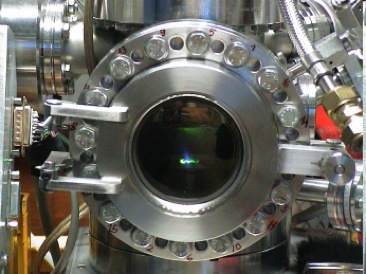 Technological basis for thin film deposition is a UHV reactor chamber together with a pulsed Nd:YAG laser system for hybrid PLD/CVD processes. Therefore, solid (e.g. Si, Zn, Cu) and gaseous sources (O, N) can be used. The laser can be operated at 3 wavelengths, 1064 nm, 532 nm, and 266 nm, with a maximum 300 mJ pulse energy and 5 ns pulse duration. The CVD process is powered by a 100 W RF-generator at 13.56 MHz. PC-control of process parameters allows for simultaneous or sequential process protocols. The reactor system is designed for fast gas switching for attaining sharp interfaces. 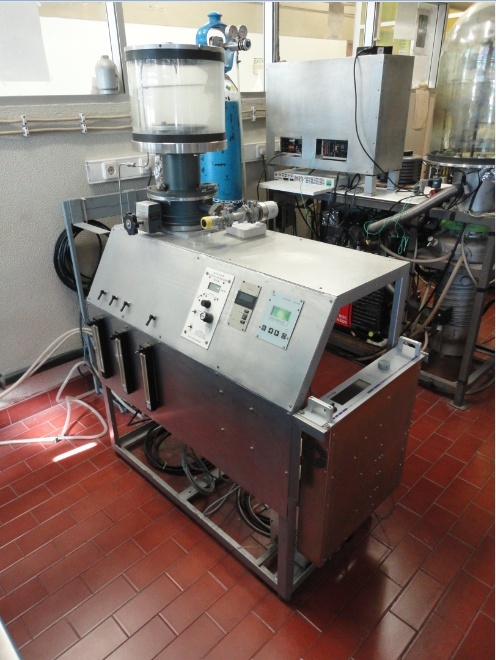 Separate vacuum chambers are available for either semiconductor-oxide material system deposition or ferroelectric film preparation. An optical OXFORD bath cryostat is used for transport and for photoluminescence measurements in the temperature range between 80 K and 500 K. Both steady-state excitation by HeNe (633 nm), HeCd lasers (325 nm), and Xe light sources, together with various spectrometers, and pulsed laser excitation by Nd:YAG laser are possible. Contact-less measurement of carrier mobility and recombination lifetime is accessible with a microwave resonator system operated at 2.45 GHz. For all equipment, short-term access at any time for interested colleagues is welcome. Please, contact the scientific researchers in charge. 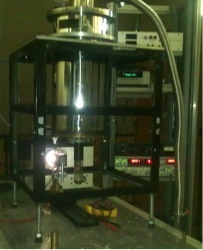 Hybrid PLD/CVD Reactor. 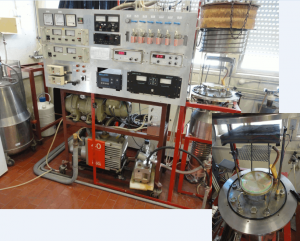 UHV reactor with Zn target (white). Liquid-nitrogen cryostat for VIS-UV optical transmission and photoluminescence. 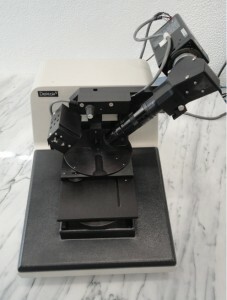 The laboratory is equipped with a range of systems for thin film deposition, materials processing and characterization. The current areas of research include: amorphous silicon materials and devices, transparent and conductive oxides and their applications and crystalline silicon solar cells and electronic devices. 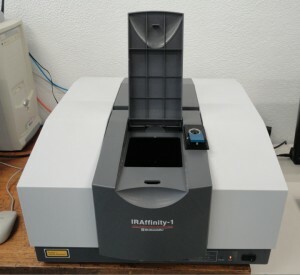 – UV-Vis-IR spectrophotometer – Shimadzu UV3100, 180 – 3100 nm (res. 1 nm). Access conditions: Within collaborative research work. Contact the scientific researcher in charge. Location: IST-Alameda, Complexo Interdisciplinar, 6th floor.